India shares some special relations with Singapore since years. Singapore is also a member of ASEAN in which India is also a leading member. India’s trade with Singapore is strengthening day by day. Presently, India and Singapore have $17 billion trade deal which is expected to grow up to $25 billion by FY 2019-20. India’s export to Singapore has also seen grow in recent times. India’s export to Singapore grew by 23% in the last fiscal year in comparison to overall growth in export of 4%. Though India and Singapore have been doing great in bilateral trade yet the overall export of India to Singapore is only 2.5% of overall export of India. India’s trade balance with Singapore is in positive which is a good sign. India’s trade balance with Singapore in FY 2015-16 was $367.27 million while the export to Singapore was $6978.51 million. 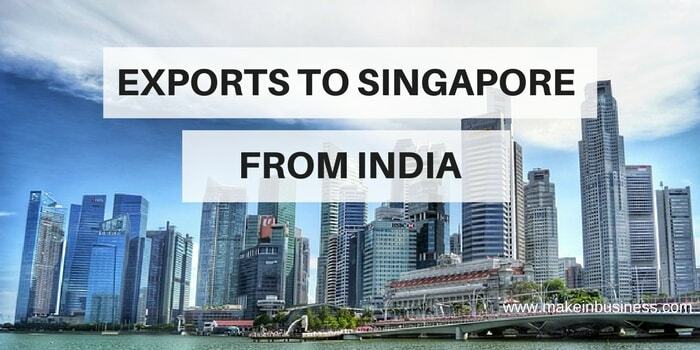 India exports series of products and services to Singapore that have maintained a positive trade balance for India. If you want to start export business then this is absolutely right time to step into this profitable venture. Export to Singapore is one of the leading ways to gain profits and expand business as the export is rising every year. Here is the list of 20 most exported products to Singapore from India. Mineral Fuels, Mineral Oils, Mineral Waxes and their Products: India exported the largest product to Singapore in the form of mineral waxes, oil and fuels that earned India $6842300 thousand in FY 2017 while in FY 2016 it was 3479064 thousand dollars. Ships, Boats and Floating Structures: India exports ships, boats and floating products the second most to Singapore. In FY 2017, India exported 1357099 thousand dollar of such products to Singapore while it exported 719631 thousand dollars in FY 2016. Natural or Cultured Pearls, Precious Stones, Metal and Metal Clads: Stones, pearls, metals and many other such products are exported by India to Singapore. India exported 563482 thousand dollar of such products in FY 2017 while in FY 2016, 498249 thousand dollars of such products were exported. Machinery, Boilers, Nuclear Reactors and Parts thereof: India also exports a good sum of machines and their likes which are heavy in nature to Singapore. In FY 2017, India exported 489551 thousand dollars of such machineries to Singapore while in FY 2016, 392964 thousand dollars’ worth of such products to Singapore. Organic Chemicals: India is also a leading exporter of organic chemicals to Singapore. India in FY 2017 exported organic chemicals of worth 358131 thousand dollars to Singapore. In FY 2016, the export of organic chemical amounted to 324313 thousand dollars. Aircraft, Spacecraft and Parts thereof: India exports aircraft and its products to Singapore that worth dollar 242396 thousand in FY 2017. In FY 2016, the export amounted to 229499 thousand dollars. Electric Machineries and Equipment, Sound Recorder, Television image and parts thereof: India also exports electrical machineries to Singapore that gives India great returns in export. In FY 2017, India’s export to Singapore for such products was 235450 thousand US dollars. Copper and Articles thereof: India has traditionally been very reach in metals and minerals and especially in copper. India exported a total worth of $192904 thousand dollars of copper and articles to Singapore in FY 2017. Optical, Photographic Surgical, Measuring, Checking, Cinematographic Instruments and Parts: In FY 2017, the export of such products with Singapore stood to 153753 thousand US dollars while in FY 2016 the same export was accounted at 166543 thousand US dollars. Iron and Steel: Been one of the largest producers of steel and iron ore, India exports a great share of iron and steel to Singapore. In FY 2017, the total export amounted to 107903 thousand US dollars. In FY 2016, export amounted to 12245 thousand US dollars. Aluminum and Articles thereof: India is one of the largest producers of aluminum and its products. India exports both aluminum ore and its products to Singapore. In FY 2017, India exported aluminum of worth 92975 thousand US dollars. Tanning, Dyeing, Varnish, Paints, Tannins, Pigments, Putty and others: India has been a long exporter of dyes and paint products. India exported such products of worth 79940 thousand dollars to Singapore in FY 2017. 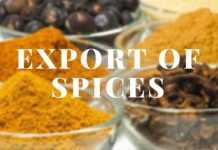 In FY 2016, export of such products accounted to 56798 thousand dollars. Essential Oils, Perfumery, Resinoids and Toiletry Preparations: India exported 77635 thousand dollars’ worth of such products in FY 2017 to Singapore. The export amount is on constant growth since years. In FY 2016, the export amounted to 68059 thousand dollars. Pharmaceutical Products: In has been a leading exporter of pharmaceutical products and has been exporting a fair share to Singapore. India exported pharmaceutical products worth 60898 thousand dollars to Singapore in FY 2017. Cereals: India also exports edible products like cereals to Singapore. In FY 2017, India exported 53503 thousand dollars of cereals to Singapore while in FY 2016, export of cereals was 52572 thousand dollars. Vehicles apart from Railways and Trams and Parts thereof: India is also an exporter of vehicles and their products to Singapore. In FY 2017, India exported vehicles and their parts apart from railways and tramways of worth 53438 thousand dollars. Articles of Iron and Steel: Been producer and manufacturer of steel and iron articles India exports large share of such products to the world including Singapore. In FY 2017, India exported 40998 thousand dollars’ worth of articles of iron and steel. Fish and Crustaceans, Mollusca and other Aquatic Invertebrates: India also exports fish and other aquatic items including invertebrates to Singapore. In FY 2017, India’s export to Singapore of these products stood at 40438 thousand dollars. Miscellaneous Chemical Products: Chemical products are exported in large numbers to Singapore from India. In FY 2017, India exported chemical products of worth 37053 thousand dollars to Singapore. In FY 2016, the export of such product was 38382 thousand dollars. Plastic and Articles thereof: In FY 2017, 34102 thousand dollars’ worth of plastic and articles were exported to Singapore. Plastic products are one of the most produced products in the world including India and their demand is huge. Articles of Apparel and Clothing that are not stitched: India is one of the largest producers of apparels, clothing and textiles. India exported 31998 thousand dollars’ worth of such products to Singapore in FY 2017. Thus, India and Singapore share a great bond of cultural and trade relationships that is bound to grow strong in times to come. There are many opportunities in export sector for Indians who want to try their hand in it.